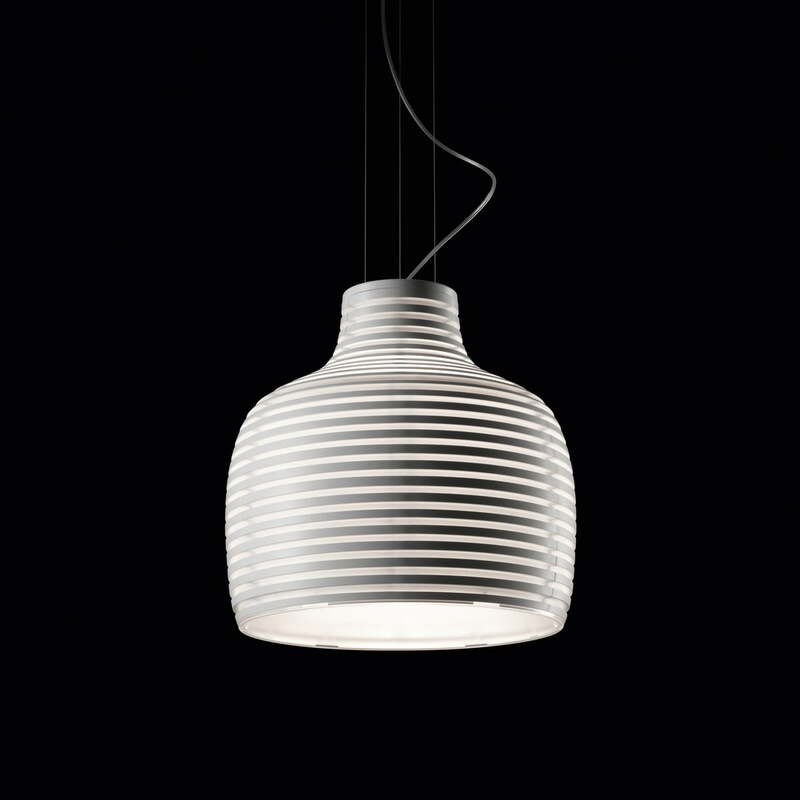 Werner Asslinger was inspired by the slightly bellied form of a bee’s basket for His Behive pendant lamp. This is how the Foscarini Behive consists of a range of differently sized rings that define a lines covered lamp’s corpus. Made to attract the attention of the viewer when switched on as well as off, the ABS-polycarbonate made Foscarini Behive enriches rooms with its decorative qualities and its special light. A diffusor shade inside of it keeps the technical components and guides the warm and soft light downwards, typical for Behive. The white light of the Foscarini lamp fulfills therewith two duties: observed from the outside it emphasizes the graphic design of the Behive pendant lamp, and from above the light focuses a determinate space.